The 2017 Randwick City Business Excellence Award winners were announced on Wednesday 1 November highlighting the dynamic business community of our local area. Kingsford’s iconic sushi bar Niji Sushi has taken out the top honours as 2017 Business of the Year in the Randwick City Business Excellence Awards announced this week at a gala dinner at Royal Randwick Racecourse. Niji was awarded restaurant of the year, while 22 Grams from Randwick won café of the year and Lily & Co Hairdressing from Malabar won the hotly contested hairdresser category. 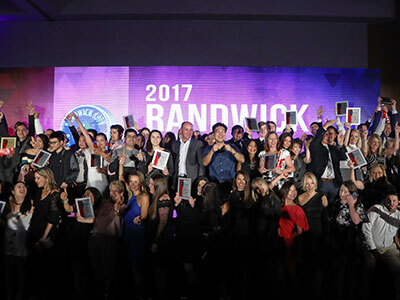 There were 200 finalists in 27 categories recognising the best of the best businesses across Randwick City as voted by customers and professional judges.